Hermanos Unidos sponsored a celebration of Mexico's Independence Day at the Newburgh Activity Center in Newburgh, NY on Saturday, September 13, 2014. 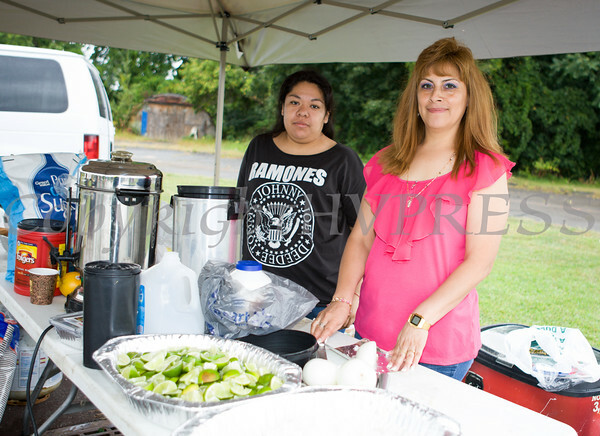 Beatriz Guerrero and Maria Chavarria of Hermanos Unidos help prepare food in celebration of Mexico's Independence Day during a festival at the Newburgh Activity Center in Newburgh, NY on Saturday, September 13, 2014. Hudson Valley Press/CHUCK STEWART, JR.